Well we tried to predict yesterday, got a few right and most wrong because it is official. Well we went Billy Joel and it is Elton John behind the ivories, and we guessed Drake and got Pitbull and T.I. instead and while not an overall super exciting headlining crew the festival lineup itself is pretty deep. The Who make an interesting choice and I am not sure how well one of our favorite bands of all time will go over in 2015 generally and in the hot NOLA sun specifically. 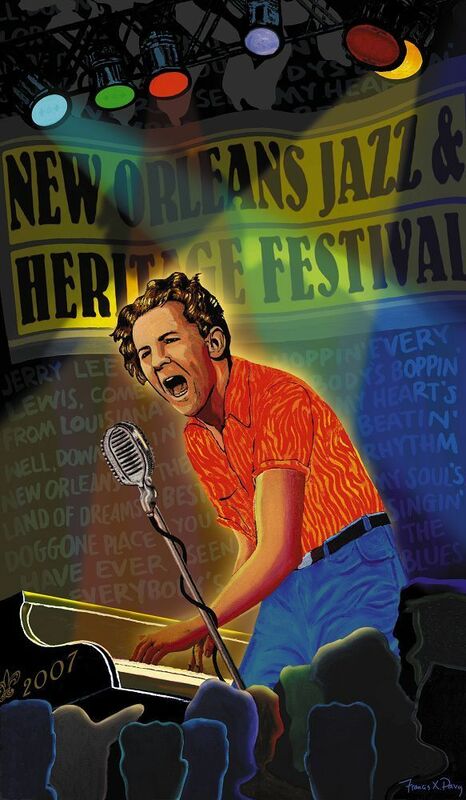 Jerry Lee Lewis plays another Louisiana big time show, that is a hell of a plus. You can sort through all of the days right here and it should be pointed out that the final headliner on Sunday has yet to be announced as a TBA. Last year the fest did the same thing when it was first announced and that turned into Bruce Springsteen so odds are that one big bullet is still waiting to be fired in the next few weeks. We can't wait to be there. 2014 Recap: Favorite Albums, Shows, Etc. Dylan Cover #171 Stan Getz "Blowin' In The Wind"